Whether in fine wine, painting, architecture or metalwork, personal taste is just that, personal. 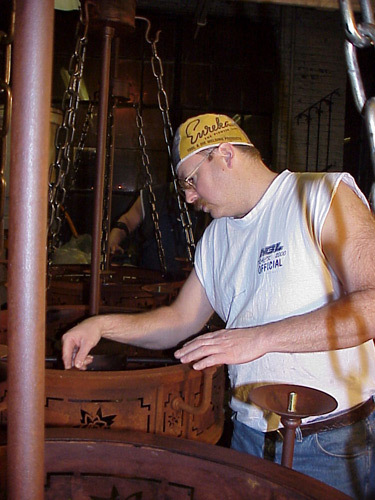 However, at Rose Iron Works we apply our own standards of excellence to gauge the quality of our work. First, the piece must function as needed, but the mechanics of any functional piece should not stand out. 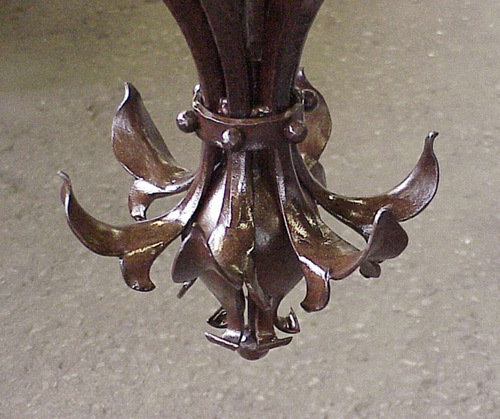 As examples, the latch or hinges should not dominate a gate; the design of a lamp or chandelier must allow for the appropriate amount of illumination. Next, the visual movement in the various elements must enhance and support the overall design. The lines should be fluid and graceful. Only those elements that are intended to “pop out” should grab one’s attention at first glance. The remainder of the piece must support the focal point(s). The style, proportion, mass, level of detail and exuberance of the piece should be mutually reinforcing. A routine query tests whether the piece would be enhanced by either adding or removing anything? Finally, we ask ourselves two questions: Has the workmanship employed in the execution faithfully rendered the design? Has the workmanship employed in the execution faithfully represented the craftsmanship standards of our studio? When we have satisfied ourselves that a piece meets each of these criteria of excellence, we stamp our mark into it.